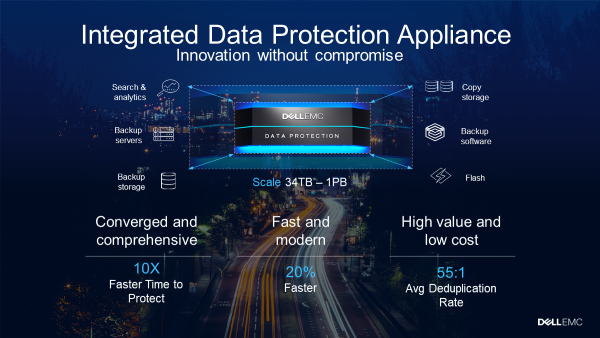 New today, the Dell EMC Integrated Data Protection Appliance (IDPA) has become more advanced with simpler management and monitoring, increased cloud-readiness with cloud disaster recovery and improved data protection for VMware workloads. IDPA, launched last year, is converged data protection appliance that offers integrated protection storage and software, search and analytics, and cloud tier for long-term retention. IDPA now boasts a new IDPA System Manager UI for centralized monitoring and management with easy-to-use intuitive navigation. The IDPA System Manager helps organizations looking to modernize their infrastructure to simplify backups and automate tasks, including monitoring, management and reporting. Users are able to monitor and manage IDPA for the majority of their daily activities from a centralized, customizable dashboard. Comprehensive reporting is also included to ensure visibility into the backup environment, and it is available on-demand with a single click. 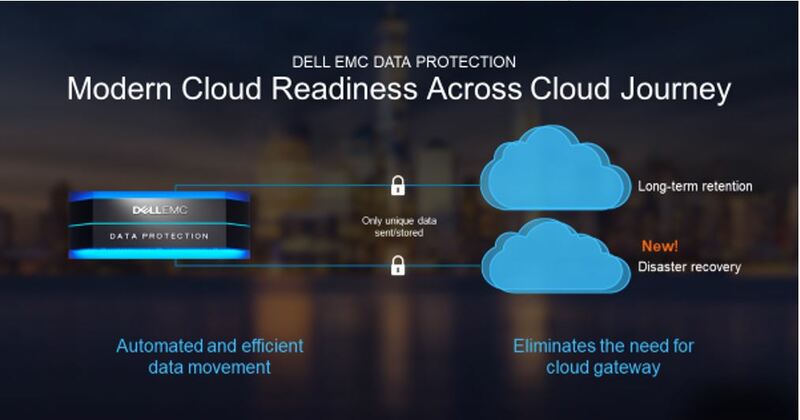 Modern and efficient cloud readiness is the centerpiece of Dell EMC products and strategy. We continue to evolve our products to support all aspects customers cloud journey. IDPA was launched with native Cloud-tiering for long-term retention and archiving to public or private cloud. With this release, we are introducing Cloud Disaster Recovery for IDPA. This new add-on feature enables virtual machine images protected on IDPA to be copied to object storage within Amazon Web Services for a modern, cost-efficient disaster recovery solution that takes advantage of the cloud. This service enables the orchestration and automation of disaster recovery (DR) testing, DR fail-over and failback to/from the cloud in a disaster scenario. No data protection infrastructure is needed for the failover/recovery within AWS, and no compute resources are needed until a failover occurs, greatly reducing costs. With Cloud Disaster Recovery, IDPA enables customers to leverage cloud across diverse cloud use-cases and benefit from the cloud economics and efficiencies for data protection with minimal additional learning or operational costs. IDPA now also offers VM file-level recovery, enabling recovery of multiple files, single files or folders. And, we’ve made many more operational improvements —making modern and simple IDPA even easier to maintain. With this new version, IDPA takes a massive step forward by providing enhanced simplicity, ease of use and more powerful data protection for our customers and help them take advantage of the cloud as part of their data protection.